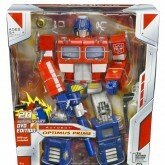 OPTIMUS PRIME and his AUTOBOTS captured the hearts and minds of a generation. 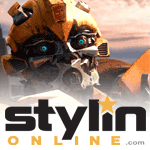 He marched at the head of an army of giants – mechanical protectors from beyond the stars whose only goal was the preservation of life and freedom for all creatures against the evil forces of the DECEPTICONS. 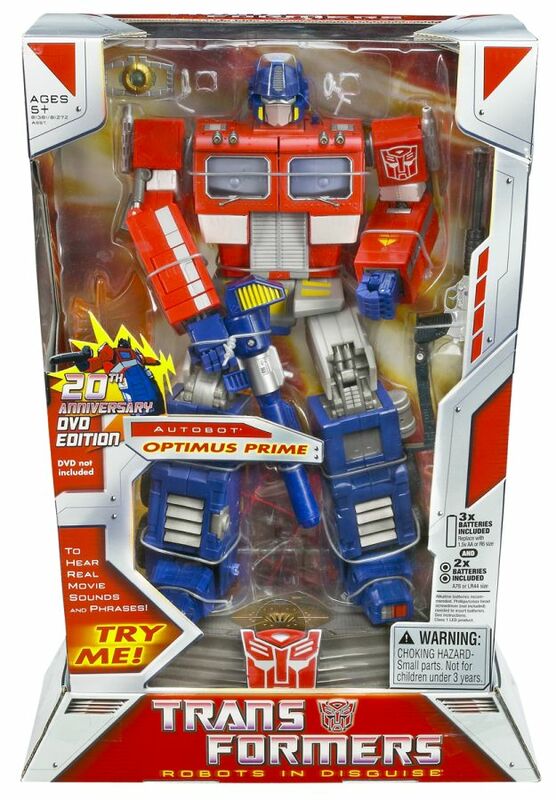 Twenty years ago, that battle against evil reached its greatest pitch, and OPTIMUS PRIME exemplified heroism and sacrifice in the animated adventure TRANSFORMERS: The Movie. 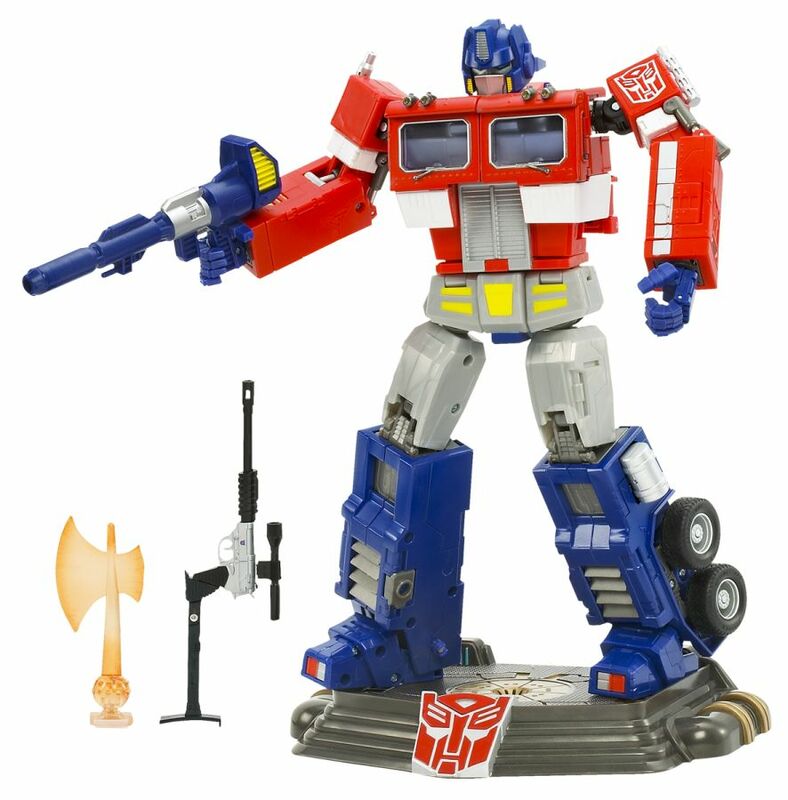 Here is OPTIMUS PRIME as millions remember him: a massive, steel warrior whose commanding visage and booming voice – heard again here through an electronic AUTOBOT display stand - encompass what it means to be a true leader, and a true hero. 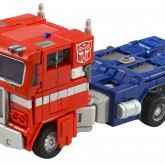 Optimus Prime (20th Anniversary DVD Edition) toy information. 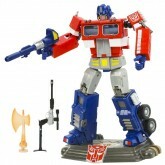 Released to coincide with the 20th anniversary of the 1986 Animated Transformers movie. 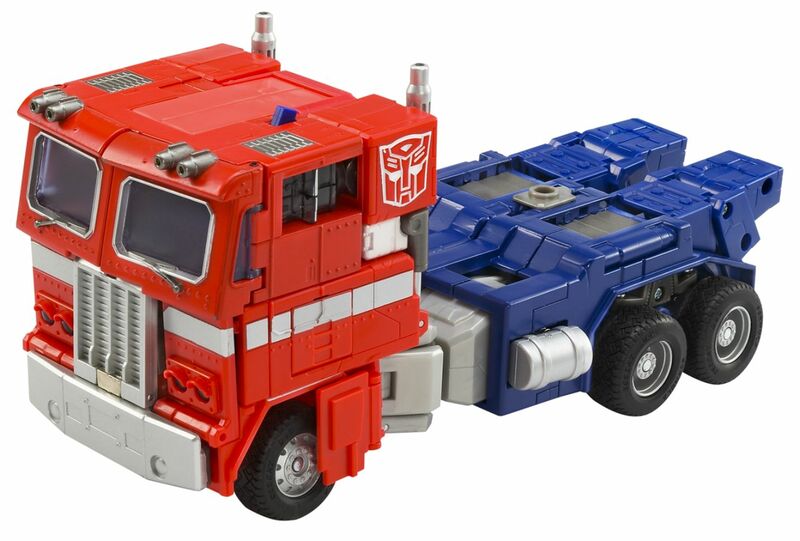 Optimus Prime (20th Anniversary DVD Edition) parts information. Came with "talking" display base.